Cream shortening & 3 Tbsp. 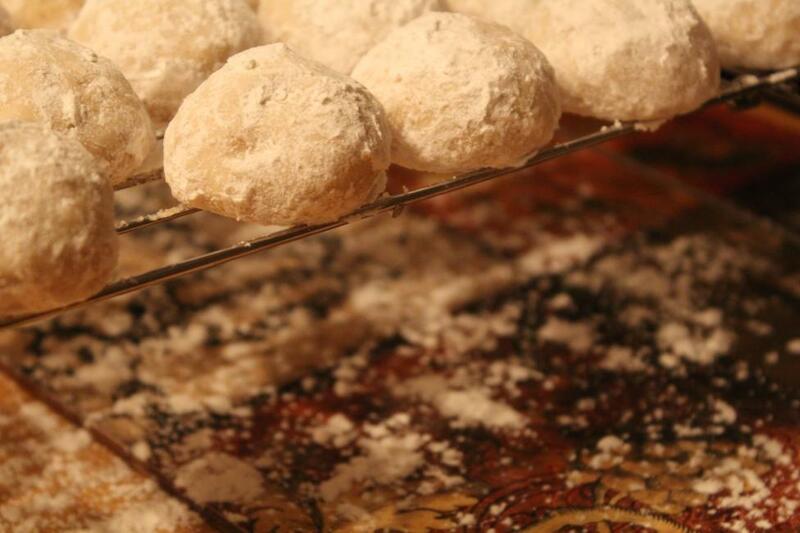 Confectioners sugar until fluffy. Stir in flour gradually, then nuts until well blended. Chill if desired. Roll in marble-sized balls. Place 2" apart on ungreased cookie sheet. Bake @325 for 20 min. or until lightly browned. Roll in 10X sugar while slightly warm.